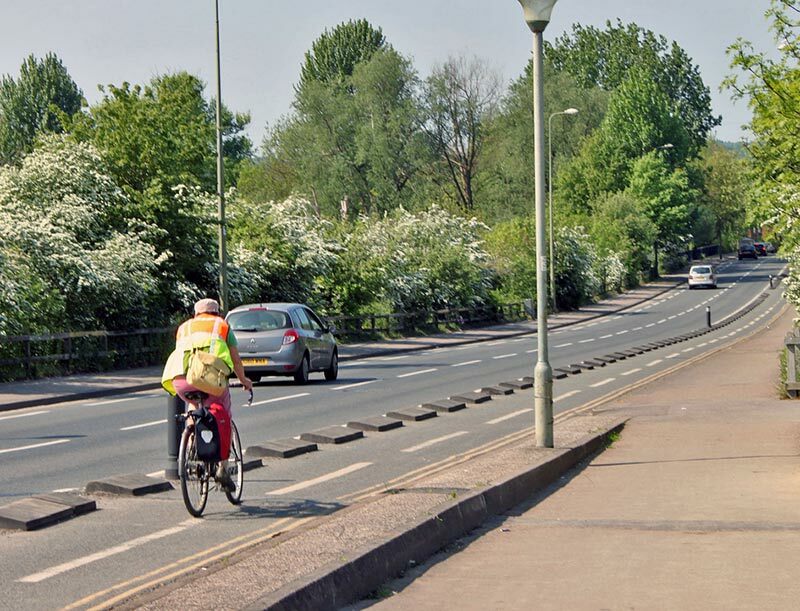 A reader asked an interesting question – how to plan a cycle route? Part of the attraction of cycling is finding new routes to ride. If I go on a long ride, of over 3+ hours, if possible, I like to find a road I’ve never been on before. Even if a minor variation, it is always good to take a new direction. These days, my one concession to technology is sometimes taking a photo of a maps when visiting new areas. But, generally I quite like to just ‘follow my nose’ and see where I end up. There is a certain freedom in just choosing the road which looks most inviting and hope it is going in the general direction. If you follow this approach you will both win and lose some situations. I remember riding up and down this busy A road by Sowerby Bridge, in the rain looking, for the start of Dog House Lane – a new steep climb in Todmorden. I never found it that day, but I did ride up and down a road getting overtaken by articulated lorries. I kept racing up these right hand turns – uphill farmtracks which proved to be dead ends. Taking strava segments which had about four people on the leader-board. Some poor chap thought that “climb to Uncle Bill’s old farm and then a dead end” was a safe KOM and then some mountain goat comes along and nicks it off you just because he got lost. It has happened quite a few times! It has also happened that some farmer has come out to eye suspiciously this sweating cyclist – why has he come up this road when it ends in my farm? I sheepishly do a u-turn. 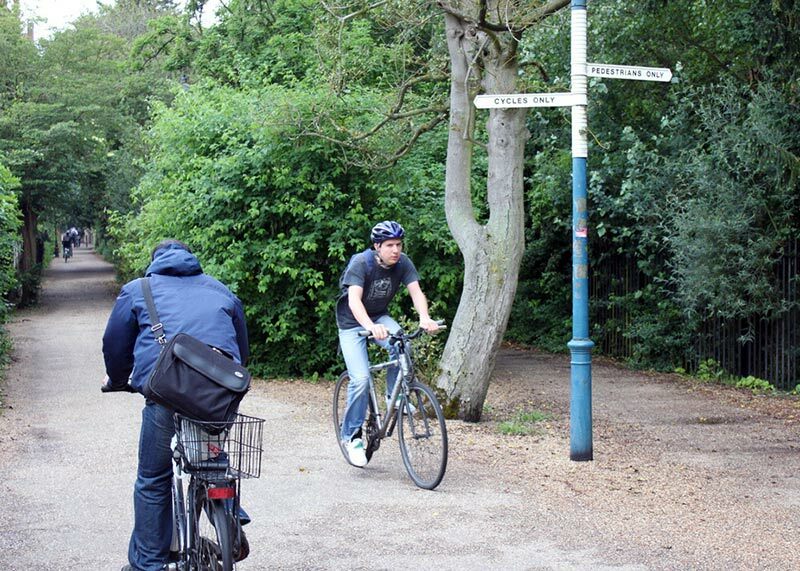 For any cyclist, it is worth investing in time and planning to work out the best route out of town. Generally this involves minimising traffic, minimising traffic lights and getting out onto good roads with minimal disruption, danger and effort. Invariably it’s a compromise between the three. 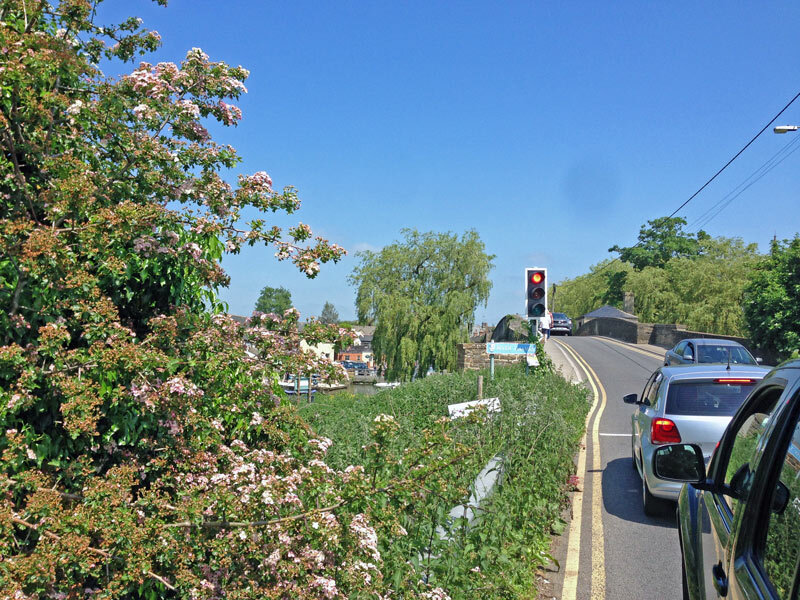 Generally, my routes out of Oxford involve trying to avoid any junction where you have to wait at red lights for ages. From there I will take the same well-known routes to get to more interesting places. After commuting into the centre of Oxford for several years, I found out there was a nice detour which avoided a big junction. It was less traffic and less waiting at red lights. It was a cycle path going past a school – a bit crowded at school drop off time, but an improvement over the main road. A few years later, I started getting harassed by an old man on a mobility scooter (long story) so I started to avoid that route, but found a way through a labyrinth of back streets between Iffley and Cowley Road. It won’t mean much if you don’t live in Oxford, but I would hazard a guess most commuters can find some improvement in their regular journey. Just because you’ve done a route out of habit (and it is popular with other cyclists) is it the best. When out on long training rides, I sometimes take a road as a guess – even using for guidance the direction of the sun in the sky. Sometimes, you can end up in a housing estate; often you end up doing a u-turn. But, I like the mild sense of adventure of not completely knowing where you are. Riding up a quiet road, hoping you will get lucky and come across a quiet rural road you might have missed, and later end up somewhere you can recognise. This is OK, if it is a nice day and you don’t mind cycling back up the hill you just came down. There is a mild sense of achievement when you cycle for 20 miles without really knowing where you are, but then come to a road you actually recognise. One of the best things about 100 climbs is that it has taken me to roads, areas and climbs, that I would never have done otherwise. Targeting a hill is a great way of giving yourself an excuse to find a new hill and new routes. Generally the good thing about the bike, is that it means you don’t have to drive. But, every now and then, I like to drive the car for an hour, and get an extra 60 miles from your home. 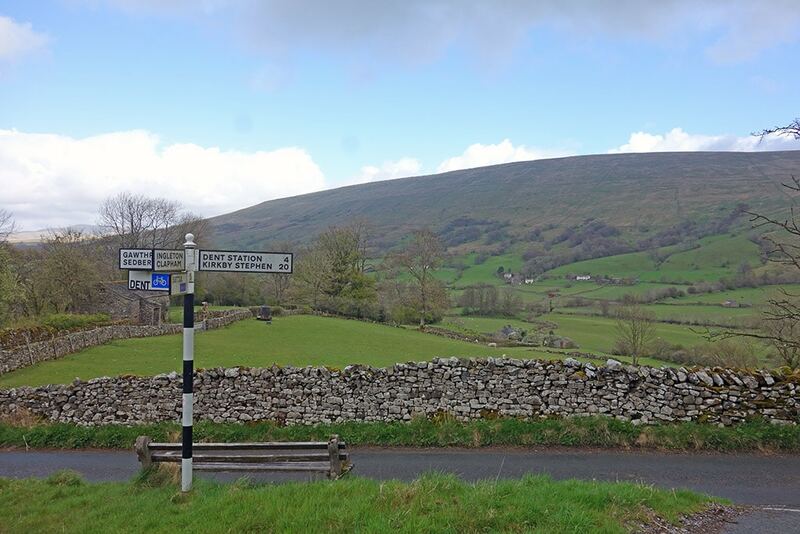 It means a whole new range of roads to find and cycle on. It is different when the purpose of the ride is primarily training rather than ‘enjoyment of the scenery’. If I’m training to a particular effort, then I will nearly always choose routes and hills I’ve already done. When doing intervals, I like to do it on hills which I know how long they are, gradient e.t.c. Something like the A40 climb to Stokenchurch is quite good for comparing form from previous seasons. When training hard, you don’t want to think about where you should go next. It is best to go into autopilot and just follow well known routes. These will be routes where you minimise disruption – almost creating your own time trial circuit – left turns, roundabouts, avoiding traffic lights – anything to keep going without having to stop. With rising traffic volumes, it is increasingly hard work to find suitable routes which have these features but also not too busy with traffic. 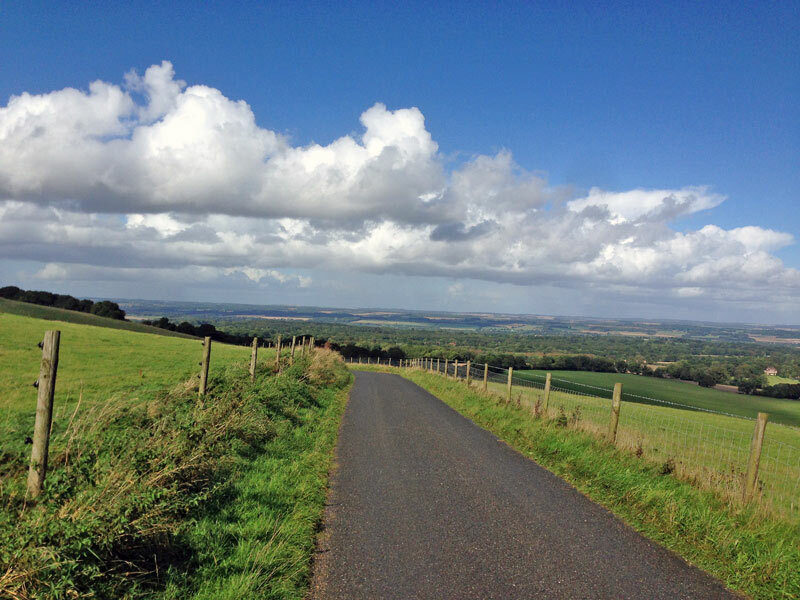 If you go to the ideal cycling quiet lanes, it’s generally harder to get smooth training routes. Last year I did quite a lot of sweet spot ‘threshold’ training – basically it involves maintaining high average speed for considerable duration. 100 miles in five hours. 60 miles at 22 mph (35.4 km/h) that kind of thing. For this training, I like to find good B roads or relatively quiet A roads. Long, flat and straight are great. Anything to help you get into a good rhythm. Last year I also converted my time trial bike to a 56 single chain-ring. Very quickly I went from a mountain goat seeking out the top 100 steepest climbs to seeking the flatest possible routes. Anything over 5% was unwelcome. It was a very different perspective to my usual cycle routes and I ended up going on very new routes. When you are doing this kind of training, the scenery becomes secondary to the goal of maintaining high average power, and even more importantly high average speed. It’s the kind of ride where I start my Garmin when I’ve safely out of the city and can start my uninterrupted riding. Finally, everything has its place, but sometimes, you can’t beat a bit of fast dual carriegaway to get the average speed above evens! I do it rarely, but sometimes I use the Witney bypass just to avoid slower roads through Witney town centre. 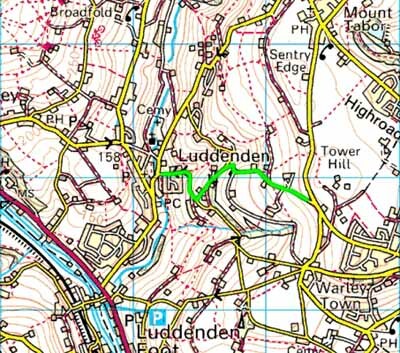 My audax friend told me he did his first few audaxes with the ‘old school’ methods but got fed up with getting lost in the dark and rain. So he bit the bullet, bought a garmin, plugged in the complex route and has never looked back. If you have to do a specific 200km – riding through the dark, I’m told the optimistic philosophy of following your wet nose, soon loses its allure. The advantage of a club is that you can go with other people who may know the local routes like the back of their hand. The only disadvantage of following a club route is that you can come back to where you started in blissful ignorance. It’s only when you get a bit lost yourself that you really remember where you’re going. When the Tour de France came through Yorkshire, I followed the first stage route. I made minor modifications on the way back to chose more cycling friendly routes than the A road to Harrogate, but it was great to have something new to aim at. It was also shocking to realise how hilly, this so called flat stage was! 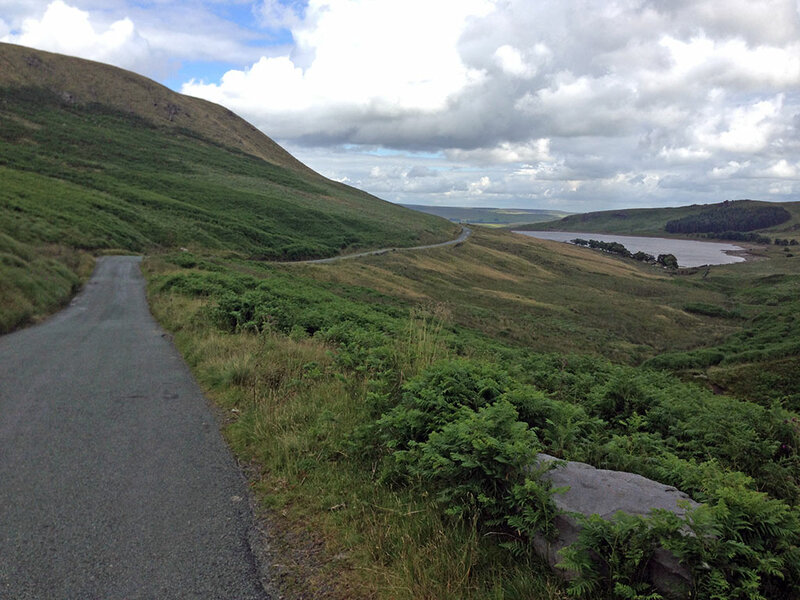 When riding in the Lake District, I have followed a rough route of the Fred Whitton Challenge. Not exactly, but doing the climbs in the north before coming back down south. I suppose I’m trying to share the joy of getting lost. Of course, getting lost, searching out new routes seems much more attractive from the comfort of a warm cafe. Perhaps I have a myopic memory and forget the downside of not knowing where you are going. But, on the positive side, I can ride within a 50 mile radius of Oxford, Menston and have a pretty good idea on the best route to follow. When the weather warms up – have a go. Take your bike and follow random directions! Possibly a bit too technology-driven for your taste but there’s also VeloViewer’s explorer feature ( http://blog.veloviewer.com/veloviewer-explorer-score-and-max-square/ ) which is a numeric way of “rewarding” the seeking out of new terroritory.